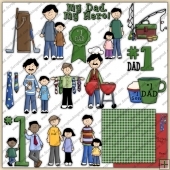 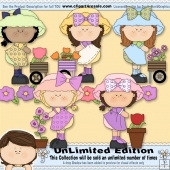 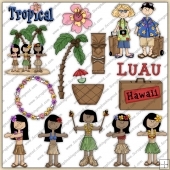 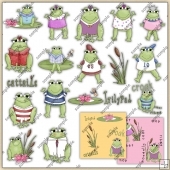 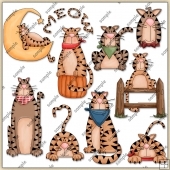 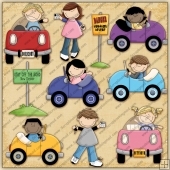 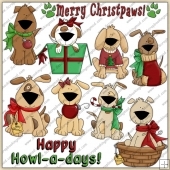 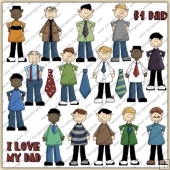 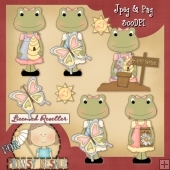 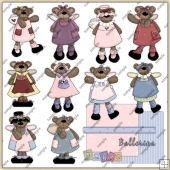 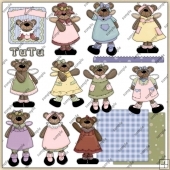 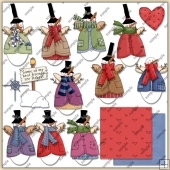 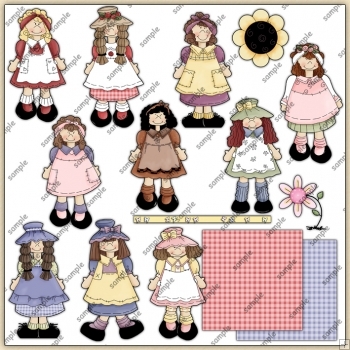 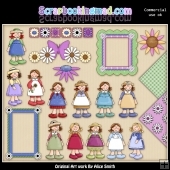 Lil Dollys Collection - Clipart Graphic Download with 15 clipart designs. 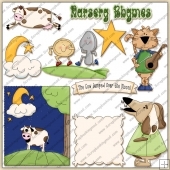 This collection includes large graphics so they'll work well for printed projects, but can also be reduced in size for web graphics. 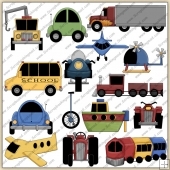 All images are high quality 300 dpi and come in both transparent PNG and non-transparent JPG formats.